Who lights up their caravan or motorhome? 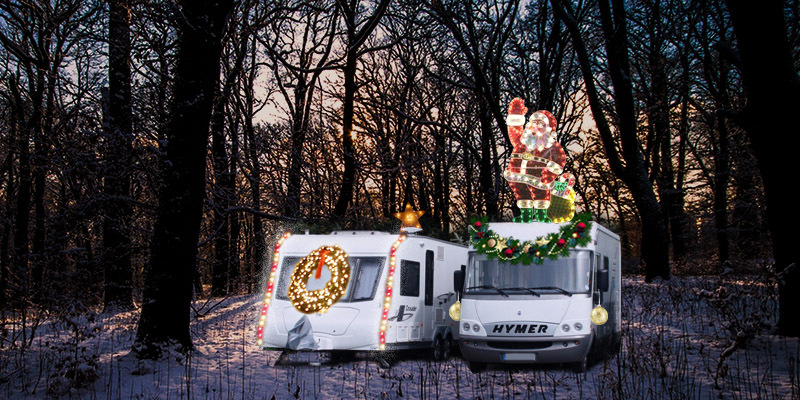 Christmas is around the corner and it’s time to start thinking about trimming up – but will this include your caravan or motorhome? Who lights up and when? In this month’s poll we’d like to know if you light up your ‘van be it for the festive season or in fact any time of the year, whether you’re off touring or leaving it on the driveway? Do you leave the lighting up for when you’re touring in the spring and summer months? We’ve definitely seen lots of rope lights on flag poles or fairy lights on awnings when we’ve been on our travels. Do you light up your caravan or motorhome? 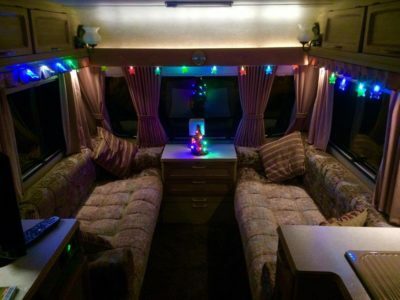 If you do light up your ‘van in the touring season, just at Christmas, or both, then tell us how far you go with it. Do you take a minimalist approach or light up all areas? Also feel free to share any comments or tips about caravan and motorhome lights with the rest of our readers, by commenting in the box below. Me too I wind 200 lights around a fibreglass fishing rod. It looks great and it helps me find my caravan in the dark after supporting the clubhouse bar. Wow that sounds great Gordon.